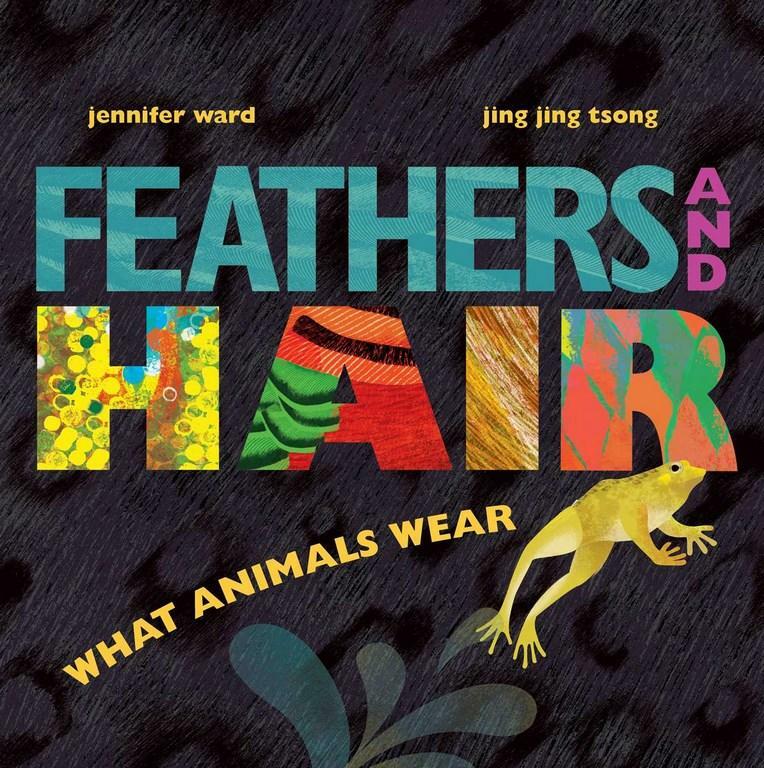 Feathers and Hair What Animals Wear is a delightful fiction/non-fiction hybrid that is both a fun rhyming story AND a superb collection of animal facts for kids to absorb as they read/listen. Jennifer Ward's rhyming story is short and sweet, exploring which animals wear fur and which wear feathers, which animals wear scales and which wear hair. Each double page spread features only one or two animals, so the chosen animals gets two whole pages to shine. And shine they do. Jing Jing Tsong’s illustrations are simply stunning. In a colourful, vibrant, texture-rich style, she masterfully conveys the difference between hair, scales, fur, feathers, shells and spikes. It’s just beautiful, and I dare you not to run your hands across every page. I swear you won’t be able to resist. The text and illustrations weave together beautifully. The animals are never named and are identified through the pictures alone, making the book a wonderful learning tool for children. I can see this book being enjoyed by a classroom of kids, shouting and guessing which animals they see. And at the end of the story, there are five pages of facts about the animals featured in the book, so further discussion can take place about animal features and behaviours. Feathers and Hair What Animals Wear is a picture book that keeps on giving. Young children will love it for its rhyming text and vibrant colours, and older kids will be drawn to the fun facts as they become more interested in animals and the differences between them. Entertaining and educating simultaneously is a challenge, but this book proves it can be done!